Dr. Brown has participated in volunteer surgical missions with InterFACE. InterFACE is a volunteer group of plastic and other reconstructive surgeons, anesthesiologists, nurses, pediatricians, and psychosocial workers, as well as others devoted volunteers, who give their time and expertise to offer reconstructive surgery to children in Mexico. In Dr. Brown’s mission work, his primary focus is on restoring physical balance, self confidence, and social acceptance to children by giving cleft lip and palate repair and correction of hand and ear deformities, burn reconstruction, and reconstruction of other congenital and acquired deformities. Along with other InterFACE volunteers, it is Dr Brown’s passion to restore balance, beauty and smiles by providing life-changing surgeries to children suffering from correctable deformities. You can also contribute to provide invaluable assistance in making a tremendous difference in the life of a child in need. For more information, or for other ways to donate to this wonderful organization, speak to any of our staff, visit http://www.interfacekids.org/donations.html, or call (858) 626-2933. 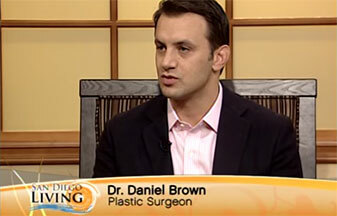 Dr. Brown is committed to achieving and restoring balance and beauty in his plastic surgery practice at home in the San Diego area, and to those in need in Mexico. Having a true love of caring for kids, Dr. Brown devotes himself to the plastic surgical care of children in the San Diego area, and also travels to Mexico with the InterFACE organization, providing surgery to babies and children as well as education to local physicians to promote sustainable healthcare for children for years to come. Dr. Brown is honored and privileged to have played an active role in this amazing charitable organization.